ROCKVILLE, Md. 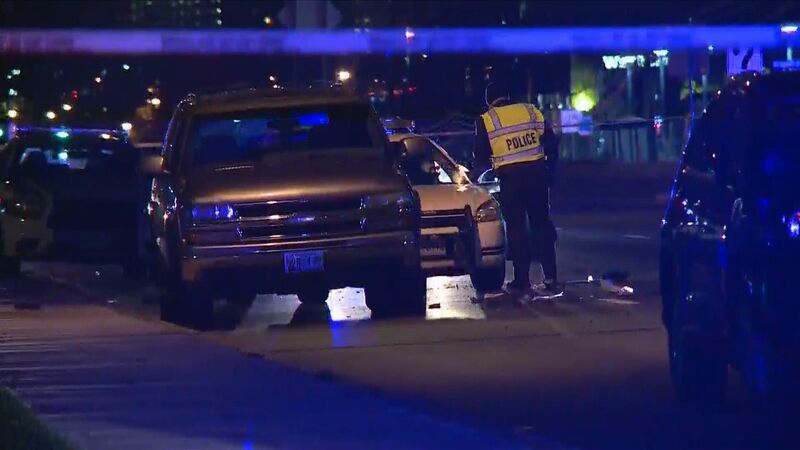 (WUSA9) -- A Montgomery County police officer was seriously injured after he was hit by an allegedly drunk driver Thursday night after a traffic stop in Rockville, Md. The SUV first struck Officer Leotta's cruiser then hit Officer Leotta, who was standing outside of his vehicle. ROCKVILLE, Md. (WUSA9) -- A 24-year-old man was arrested Wednesday after police say he broke into the home of a 63-year-old woman and raped her. Montgomery County police say Myles Bowersox of Rockville broke into the victim's home while she was sleeping and sexually assaulted her. Before leaving, Bowersox also threatened the victim with a knife, according to police. On November 16 at around 4:16 a.m., Bowersox allegedly entered the victim's house in the 5600 block of Dowgate Court through an unlocked window. Once inside, police say Bowersox pulled the victim's shirt over her head so she could not see and sexually assaulted her. After the assault, Bowersox allegedly held a knife to the victim's stomach and threatened to kill her if she reported the assault. He then left the house through the window he came in, police said. ROCKVILLE, Md. (WUSA9) -- A medical building in Rockville has been evacuated due to a hazmat situation, Montgomery County Fire and Rescue said. Hazmat crews responded to the Deer Park Medical building located at 15235 Shady Grove Road for the report of a chemical odor. EMS evaluated a few occupants. They have non-life-threatening injuries. The building has been evacuated, officials said. ROCKVILLE, Md. (WUSA9) -- Two vehicles were involved in a head-on collision on Rockville Pike Saturday night. According to authorities, four people have been taken to a hospital after being involved in the crash, some with serious injuries. This is a developing story and we will update as soon as more details become available. ROCKVILLE, Md. (WUSA9) -- A school bus was eventuated Wednesday after a coolant leak in Rockville, according to Montgomery County police. There were two school buses from Goshen Elementary School on a field trip. Officials say one of the buses developed a mechanical issues and had a broken coolant line. The bus was evacuated on I-270 near Georgetown Road and Montrose Road. Several school-aged children were evaluated for non-life threatening injuries, officials said. ROCKVILLE, Md. (WUSA9) -- The Montgomery County Board of Education voted Tuesday to close school for the holiday of Eid al-Adha. In 2016, Montgomery County schools will be closed on Sept. 12th. It will be professional day for staff in the proposed 2016-2017 school year calendar. "MCPS is an extremely diverse county and our students and staff celebrate a wide variety of religious and cultural holidays," said Patricia B. O'Neill, president of the Board. "I hope that today's decision highlights the Board's ongoing commitment to respect this diversity and work with the community to ensure that there is a fair and equitable process for determining when it is appropriate for MCPS to close schools. " ROCKVILLE, Md. (WUSA9) -- A man is dead after a crash involving a Ride-On bus and motorcycle on Rockville Pike and South Drive Wednesday morning, officials said. Crews responded to a crash involving a bus and a Suzuki motorcycle on Rockville Pike and South Drive Wednesday morning, Montgomery County Fire and Rescue said. No passengers were on the bus at the time of the accident. The crash happened around 6:11 a.m. at Rockville Pike at South Drive, officials said.